A 2-in-1 PC is a category of portable computers, containing devices that combine elements of tablets and laptops. 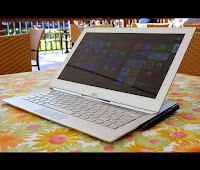 Different variants of the term exist, such as 2-in-1 tablet, 2-in-1 laptop, 2-in-1 detachable, laplet, or simply 2-in-1. Before the emergence of 2-in-1s, the terms convertible and hybrid were already being used in the computer industry and by technology journalists. Convertibles typically feature some type of keyboard concealment mechanism, in some cases allowing the user to rotate or slide the keyboard behind the back of the chassis, while the hybrid's keyboard is completely detachable without interrupting the running system. 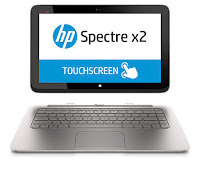 Both convertibles and hybrids are crossover devices, combining features of both a tablet and a laptop, however, the 2-in-1 is a sibling class of both these categories, dubbed the 2-in-1 convertible or 2-in-1 detachable respectively, but distinct from other convertibles and hybrids by the support of a full-featured desktop operating system, such as Windows 10 and featuring a number of I/O-ports for extra connectivity to various standard PC peripheral devices. 2-in-1 is an example of a technological convergence. It is built using a standard portable PC components, yet have a light and thin chassis, which can transform 2-in-1 into a slate tablet form. Therefore, 2-in-1s are convenient for a media consumption and typical non-intensive tablet tasks, such as web browsing, in one position, and in another they are useful for resource intensive content production activities, such as a photo editing. 2-in-1 convertibles are devices with the ability to hide the keyboard, rotating, folding or sliding it behind or within a chassis. They tend to differ by the type of hinge used. On most devices it is situated near the display and keyboard junction, while on others (like the Dell XPS Duo) there is the additional hinge in the middle of the display, so that the display can be flipped horizontally within its frame. Some 2-in-1 convertibles incorporate a sliding mechanism, allowing the user to slide the keyboard behind or within the display. After the inception of 2-in-1 convertibles, many manufacturers looked for ways to further decrease the size and weight of their touchscreen-enabled hybrid laptop devices. 2-in-1 detachables emerged - devices with detachable keyboards. In most cases the keyboard part provides few, if any, additional features (most often a touchpad, as in the HP Spectre x2). However, some manufacturers equip the keyboard part with some features of a docking station: additional I/O-ports, battery, etc. (like the Dell Latitude 13 7000 Series). Some models of the Surface Book have a discrete graphics adapter in the keyboard part, with the ability to automatically connect and disconnect (switching to the integrated graphics in the display part), without the interruption of the running operating system. After the release of the original Surface, which first made use of a kickstand supporting the main part of the tablet while it stands on a flat surface, a number of other manufacturers incorporated their own versions of a supporting mechanism for their products. For example, the HP Spectre x2's case features a bending frame with a locking mechanism. Notably, the keyboard parts of some 2-in-1 detachables, while providing essential features, are sometimes deemed an "optional" accessory by some manufacturers in order to minimize the starting price of a device. Nevertheless, in such cases the device is often displayed with its keyboard part in most ads and promotional materials. This is true for all devices of the Surface and Surface Pro lines. Even while being considered tablets, 2-in-1s fall in the category of hybrid or convertible tablets, but distinct from other members of this group in the following ways: they run a full-featured desktop operating system, feature a CPU that supports it and have I/O ports typically found on laptops, such as USB and DisplayPort. 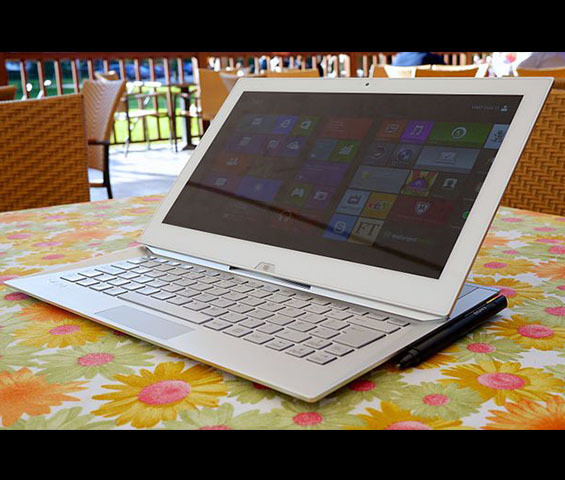 The most prominent element is the keyboard, which transforms the 2-in-1 into a full-fledged laptop. When a 2-in-1 is being classified as a laptop, it loosely falls in the Ultrabook device category, sharing with it such traits as a light and thin chassis, a power-efficient CPU, and a long battery life. It is distinguished from a traditional Ultrabook by the inclusion of a touchscreen display and a concealable or detachable keyboard. Some aspects of 2-in-1s are found in devices using ARM processors. Such devices are not classified as a 2-in-1s as they usually run mobile operating systems (iOS, Android, Windows RT etc.) instead of a desktop OS (Windows 10, Ubuntu, etc.) and typically have fewer industry-standard I/O-ports. Devices whose form factors resemble 2-in-1s but are not classified as such include the Surface RT and Surface 2, whose design and appearance are similar to the Surface Proand Surface Pro 2, the iPad Pro and ASUS Transformer Pad series devices. They all have optional detachable keyboards, but are still considered as hybrid tablets due to their use of a mobile operating system. The first device which can be considered a 2-in-1 detachable is the Compaq TC1000 from 2002. It features a 1 GHz Transmeta Crusoe CPU, Nvidia GeForce 2 Go GPU, Windows XP Tablet PC edition, detachable keyboard, and a stylus. 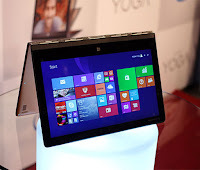 The mainstream public attention was not achieved until the late 2013, when tablet-sized laptops with detachable keyboards, mainly running the Windows 8 operating system onIntel Atom processors, started to appear in the mass market. Among the first devices from this era were the Asus VivoTab series by Asus, with models with 10.1 inches (26 cm) or 11.6 inches (29 cm) screens. 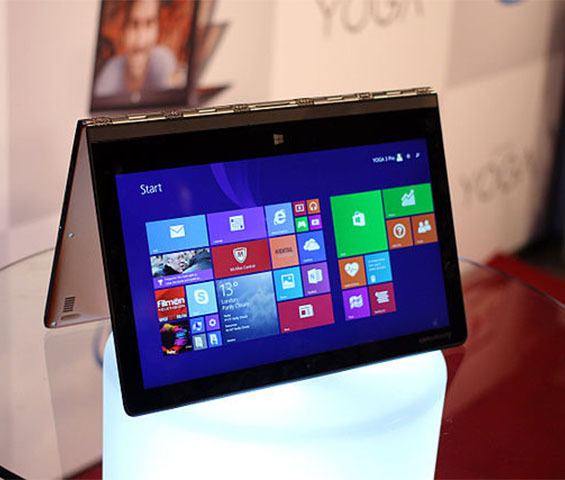 They began to arrive in stores in October 2012, and were succeeded by the ASUS Transformer Book series in October 2013. 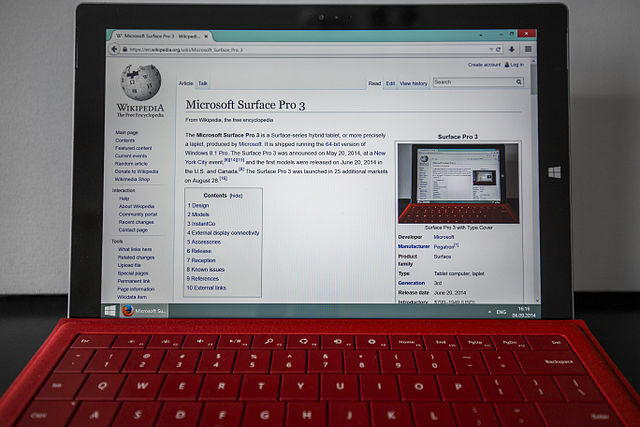 Microsoft started its own line of 2-in-1s with the introduction of the Surface Pro series, the first of which was released in February 2013. It had a 10.6 inches (27 cm) display,Intel Core i5 CPU, and a detachable keyboard, which also doubles as a protective screen cover. A number of prominent laptop manufacturers, such as Lenovo, Dell, Samsung, Acer, HP and others have also begun releasing their own 2-in-1s. As of 2015, the only pre-installed operating systems specifically supporting 2-in-1's are Windows 8, 8.1 and 10. Although some Linux distributions do support some touch features of 2-in-1s, they are generally unsupported by hardware vendors. Apple's OS X operating system does not support touch features due to the lack of touch-enabled devices, powered by OS X being produced as of yet. Compared to Google Android and Apple iOS mobile operating systems the touch-oriented features of Windows intended for tablet use are often criticized as less convenient, more confusing to use and for the lack of quality apps in the Windows Store. It is, however possible to run Android apps in Microsoft Windows through the use of emulator software, such as BlueStacks' App Player or American Megatrends' AMIDuOS. Last updated on 17 July 2016 at 22:42.